Yailin, Michael, and I were introduced one morning at the Panera Bread near Dadeland. 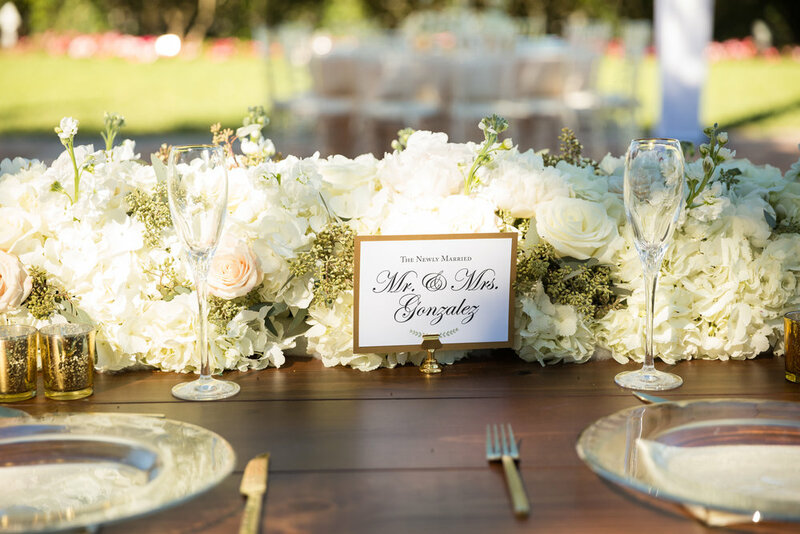 We, along with Cely of Cely's Events, began to discuss #alltheoptions for invitation suites. One thing that was clear was that Yailin knew exactly what she wanted. She knew the look, the colors and font styles she was envisioning from the get go. She was also very clear of what her vision was for their wedding day paper goods. Detail after detail, it became clear that their invitation was going to be memorable and timeless. The mixture of white, cream, gold, and sage elements really made for a beautiful full suite design. And let's gush over their custom copper wax seal, shall we? 😍 #allthehearteyes But instead of me telling you more about their big day, I'll let Yailin do the talking. 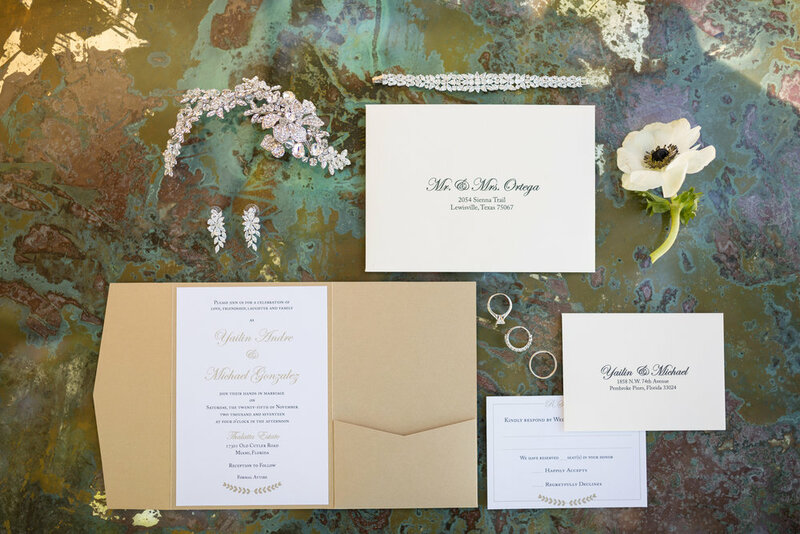 Did your stationery design reflect what your wedding looked and felt like? "Yes it did, the stationery was beautiful, simple and elegant just like me. 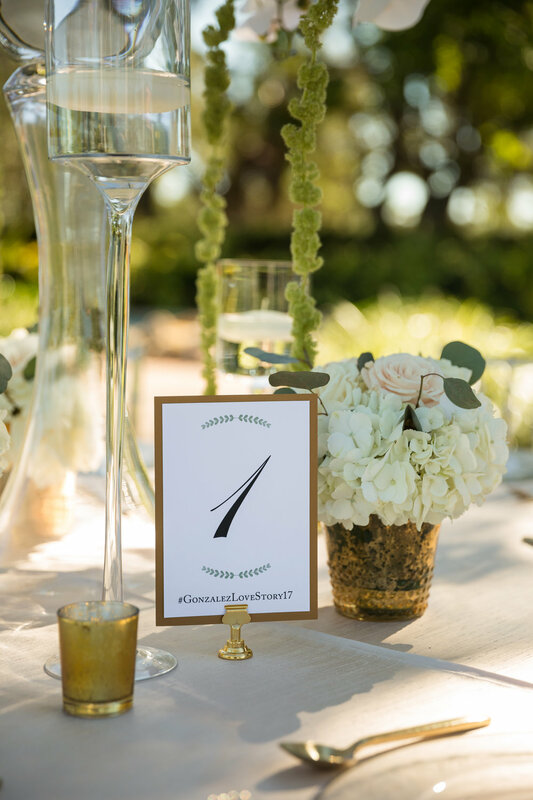 LoL The stationery made my wedding more romantic and elegant." 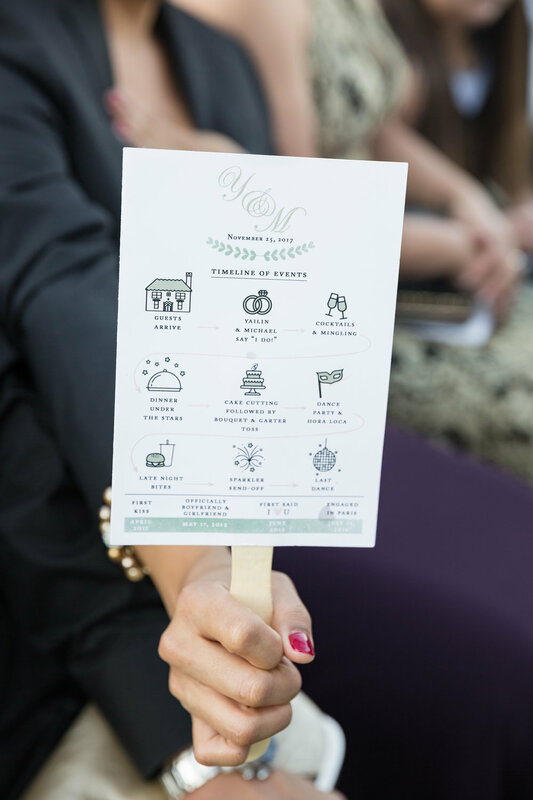 "From the bridal shower invitations down to the wedding vows book, and the guest list mirror, wow, you really knew what I wanted and liked. You executed my thoughts so perfectly (if that makes sense), it was like you were reading my mind. 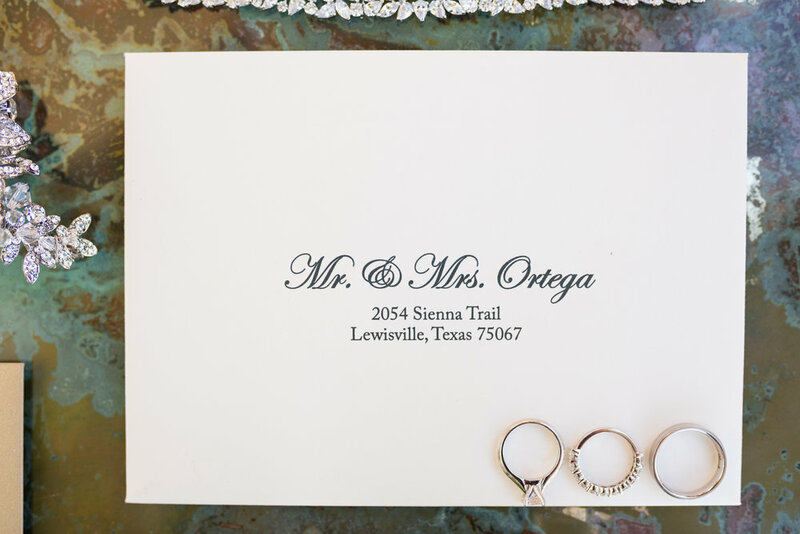 The wedding invitations were stunning and every little detail was perfect." 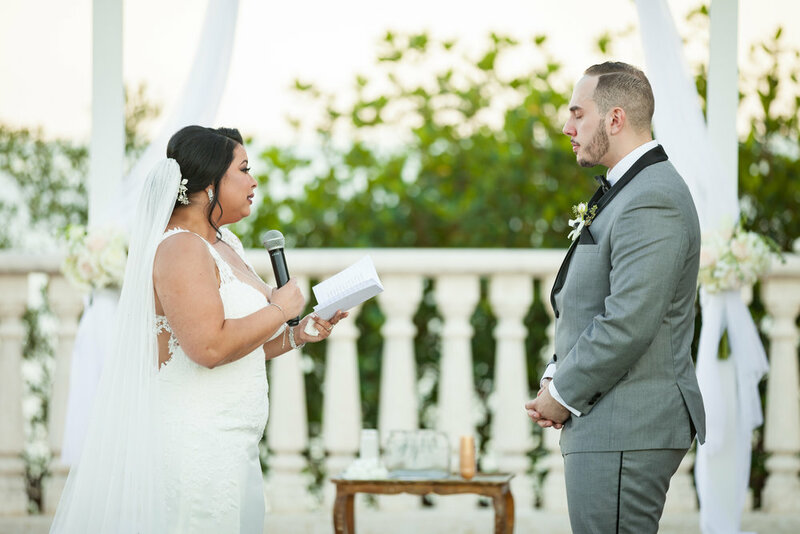 What did your big day feel like? "My big day was like a fairy tale. It was more than I expected and envisioned. I wanted a Twilight kind of wedding and I got it. The place it self is beautiful and romantic, but I feel like we made it even more beautiful. My wedding felt like us. I put every effort, time and every detail and it really showed that day. I was very emotional. 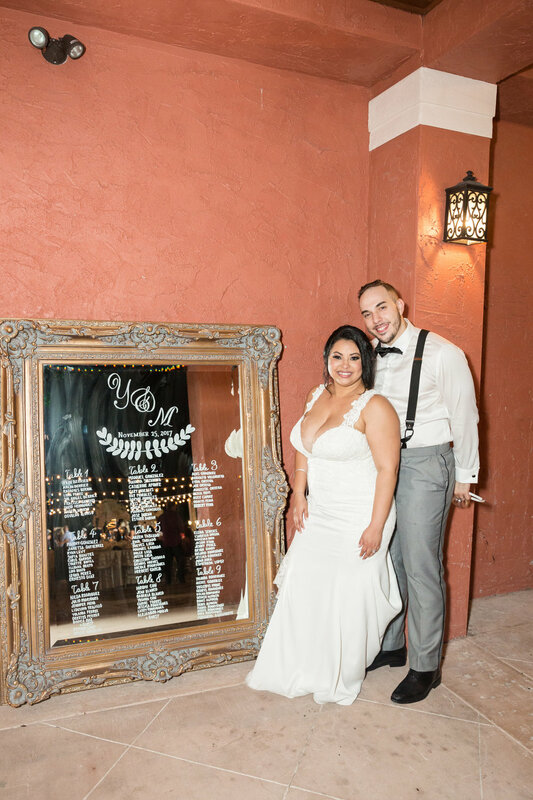 I have dreamt of my wedding day since I was little and I am very grateful for all the people and vendors who made my dreams come true." 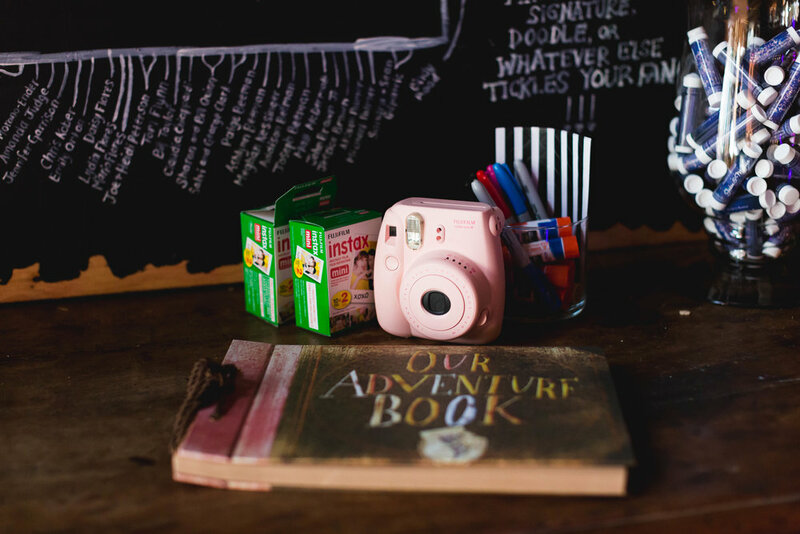 Do you have any advice for future brides in what to look for in a stationer? "Yes, my advice to future brides is have a clear picture of what they want so that everything will come together and even if they think they don't need it, trust me you do. The Stationer is a crucial part on a wedding. 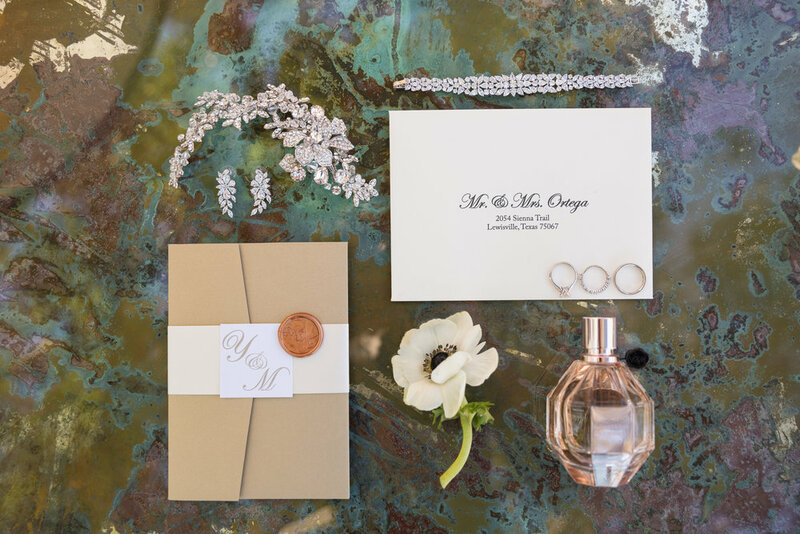 A wedding invitation will tell the guest exactly how your wedding will be and every details matters. 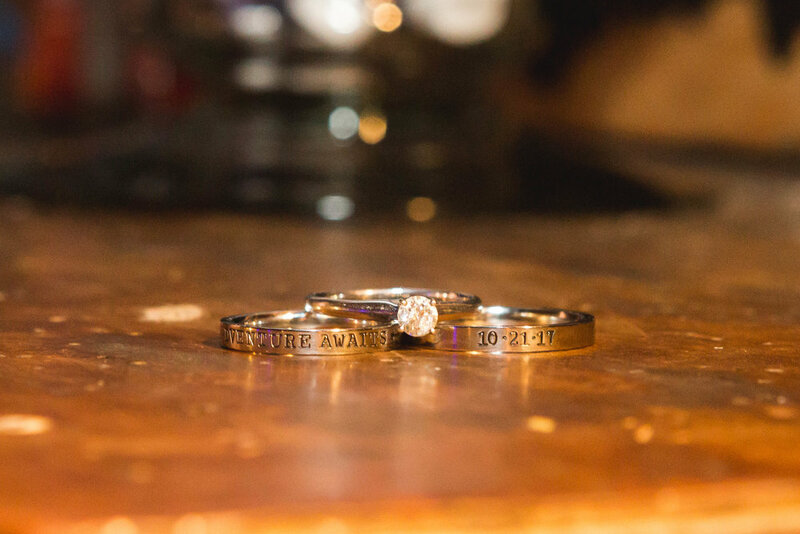 At the end, you want your wedding to be perfect." Is there any additional advice you would like to share? "My advice to all the future brides is to enjoy the process of planning a wedding and to get vendors that will go above and beyond for you, not just because you are paying them but because they love their jobs. That will reflect in their work. Also, enjoy your day and take a moment to reflect and take a mental picture of all the people together that came to celebrate love." Melissa and I met each other a few years ago when she posted on Facebook that she was looking for cowriters for her blog, Picturing Disney. As time went on, we became friends and have shared some of the best and the worst life has thrown at us. And want to know something funny - Melissa and I have never met in person. Needless to say that the day Melissa announced that she and her awesome beau, Jason, were getting hitched was met with endless congratulations and brainstorming about how I could assist her with her big day. Before we worked on anything for her big day, we worked together on a design for both her Engagement Announcement and her housewarming party. When it came time to start working on her invitation for her big day, Melissa wanted to take a little bit of a slightly different direction. She wanted to share a little bit of a more rustic vibe with a little bit of modern convenience. 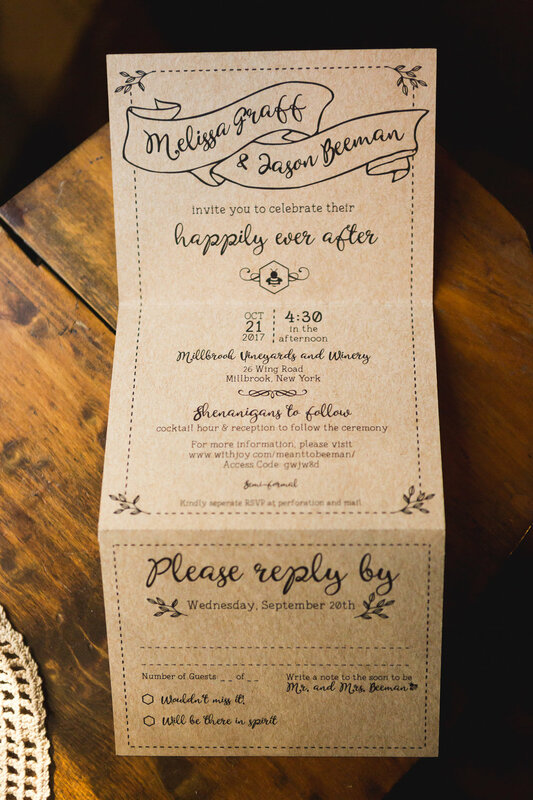 Melissa + Jason's invitation was constructed with a tear away RSVP. That RSVP was a post card that only required a stamp to send out. 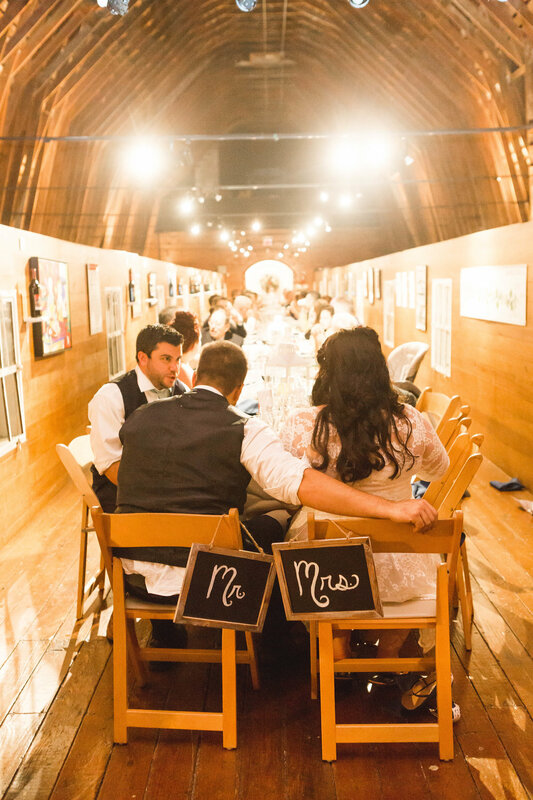 Needless to say that her big day was out of a fairytale, rustic dream. Here are some detail shots of her big day and some insight directly from Melissa herself. "It was perfect. It was worth everything I went through before that. It was worth everything Jason went through before that. It was a fairy tale. It was crazy, and had its disorganizations and snafus, but our family and our friends and the people we surround ourselves with are the kind to laugh it off with us and move on. Our cups runneth over from start to finish, with love (and wine)!" 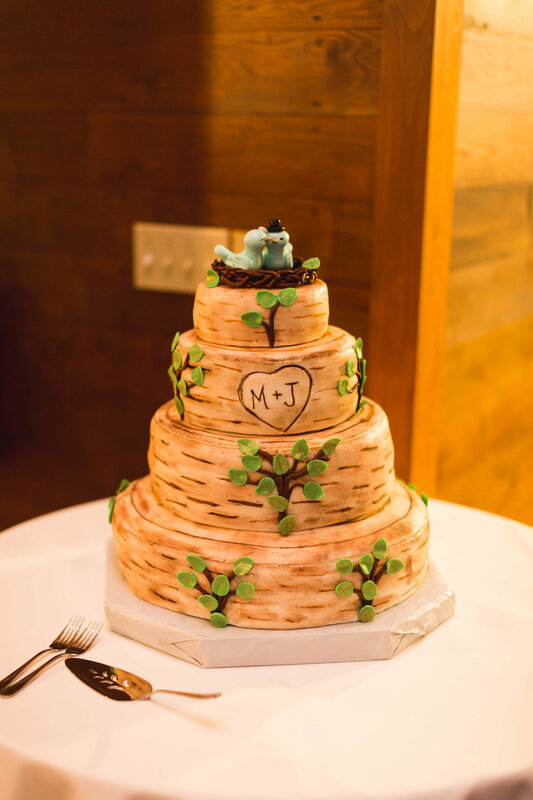 "My mother made our wedding cake and all of the book bouquets, she did it because she is wonderful and used to bake as a side hustle for a while. The books featured in the bouquets were: Bride - The Lion, The Witch, and The Wardrobe, Bridesmaids - MacBeth, Pride & Prejudice, A Child Called It, Mists of Avalon, Everything Everything, Alice in Wonderland, The Many Adventures of Winnie the Pooh." 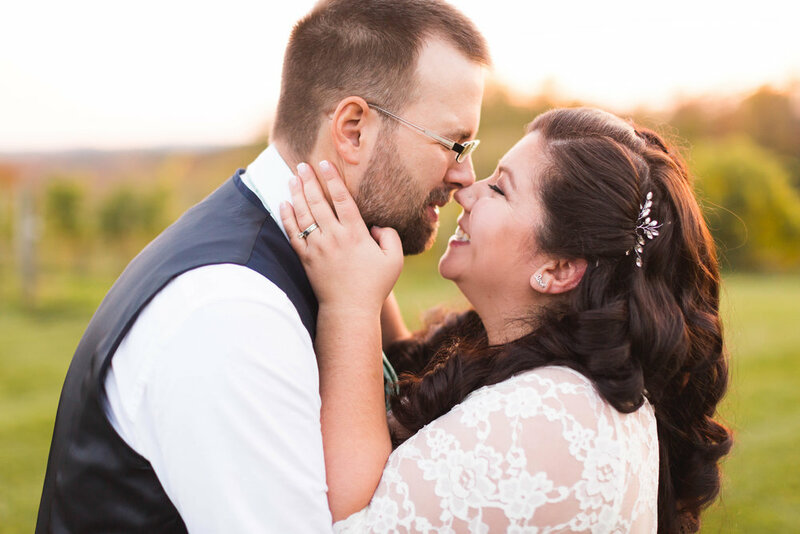 What is the best memory from your big day? 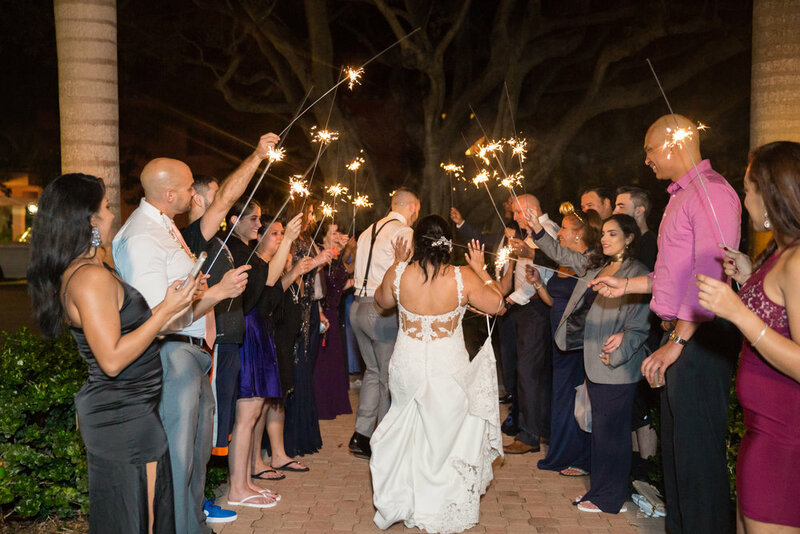 "The knot tying ceremony with my entire family (Jay and the Kids) at the ceremony, and our first dance (When I Am Married by Wilder Adkins, performed by the Squids whose lead singer happens to be my Uncle." "Be honest with yourself and be fair to the stationer. I think some people expect miracles or have no idea what they want and then blame other people when things do not come out perfect. We had a vision and we had complete faith in Monique to bring that vision to fruition." "Absolutely, 100% from start to finish. I used to much chalkboard (painted with white acrylic paint rather than chalk) for decorations, similar to our initial announcement and Engagement/Housewarming invite, and mimicked the font on the Invites for a lot of the stuff I created. 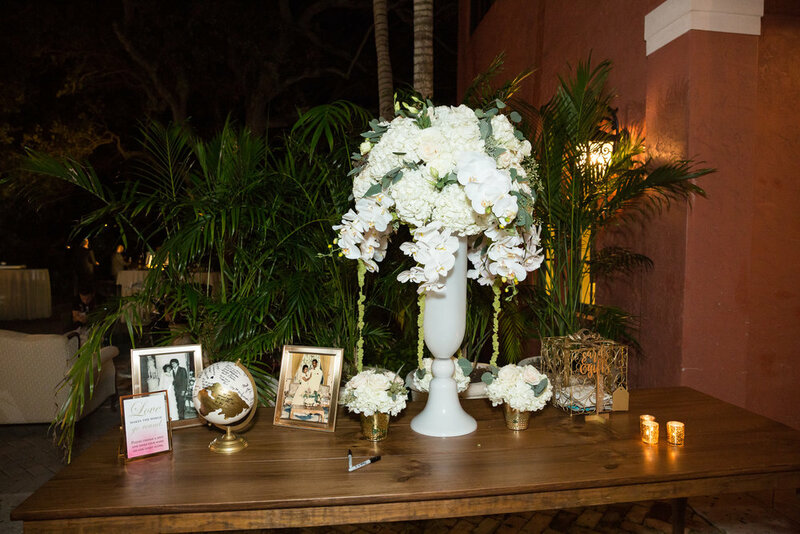 I also think the kraft paper was perfect for our romantic-rustic vibe." "Life is short and when you meet the right person you know it. If you don't know it in your soul. Don't settle, don't waste your time or your hustle on anything less than big love that shines in your eyes brighter than any constellation in the night sky. The person who makes your foot pop, heart skip a beat, and rights all your wrongs is out there for you. When you find them, don't let go, just be brave, smile, say 'hello', swipe right."